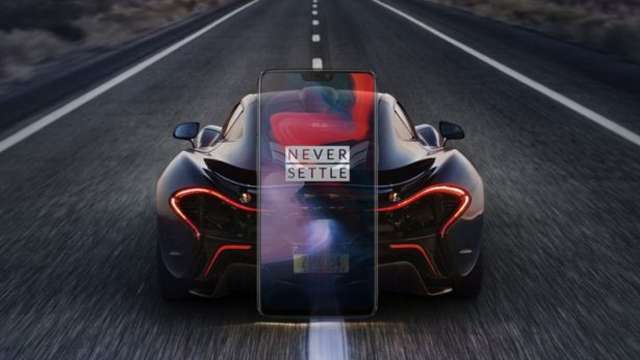 OnePlus 6T McLaren Edition started pre-booking, will be launched on December 12-The wait for the OnePlus 6T McLaren edition is now over. Pre-booking of this edition has started on Amazon and OnePlus's official website. This edition will be launched on December 12. This 5th Anniversary Special Edition is being promoted in the name of 'Salute to Speed ... OnePlus 5th-anniversary celebration' which has onePlus logo on one side, McLaren logo is on the other side. Apart from this, you can also see the 'Notify Me' button on the page, which will provide an instant update of the phone. Let us know that the 5th Anniversary event will be hosted in Richardson and Cruddas Limited Mumbai. OnePlus Fans can be purchased from the official website of OnePlus near this event, at a cost of Rs 799. OnePlus Fans will be given as OnePlus Bullet Wireless Red Gift At the same time, fans will not be able to experience the OnePlus 6T McLaren edition. This OnePlus 6T McLaren Edition will be made available for sale only since the launch. This will be the most premium variant of OnePlus 6T Earlier, the company launched Thunder Purple Variants of OnePlus 6T. Comes in 8GB RAM and 128GB storage variants. The price of this variant is Rs. 41,999, which is equal to one plus 6T's Midnight Black and Mirror Black Variants. OnePlus TV can also be launched in India by mid-2019. OnePlus CEO (CEO) Pete Lau announced a few times before about OnePlus TV. However, there is currently no information available about the specifications of this TV. This TV will be launched ExxonLivivell on Amazon.